Boulder, CO, February 12, 2019 ― Rose’s lifelong dream was to move with her husband and her pottery studio to a Caribbean island, enjoying her morning coffee on the beach and taking her ocean-inspired ideas back to her studio. Her husband would make use of the skills he honed in restaurants in a more laid-back, ocean-side setting. Isla Mujeres, a little island off the coast of the Yucatan Peninsula, seemed to fit the bill. But, oh, were they in for a surprise. What they encountered after their move was an island overrun with starving, neglected and abused dogs and cats—unsterilized, unwanted animals that wander the streets and are considered a threat to the community’s health. Their unchecked breeding brought more and more puppies into a world where they’d be destined for the same miserable life. Rose couldn’t sit by and watch, and soon started helping in whatever way she could. Rose’s experiences reflect the real-life journey of author Alison Sawyer Current, who began rescuing in 2001. Her valiant efforts to help dogs and cats grew into the nonprofit Isla Animals, which offers low-to-no cost veterinary care, arranges adoptions, and runs owner education to help whittle the number of animals destined for the same existence. The problems Alison encountered were numerous. There are no veterinarians in the area so most of the animals are never vaccinated or treated for parasites. The average dog is thin, mangy, and tick and flea infested. Needless to say, they are not welcome inside the home so even dogs that have an owner are subject to the same conditions as street dogs. Since most of the people can’t afford a car, and taxi drivers refuse to pick up passengers with dogs, they have no way to get to a veterinarian… and the cycle just goes on and on. 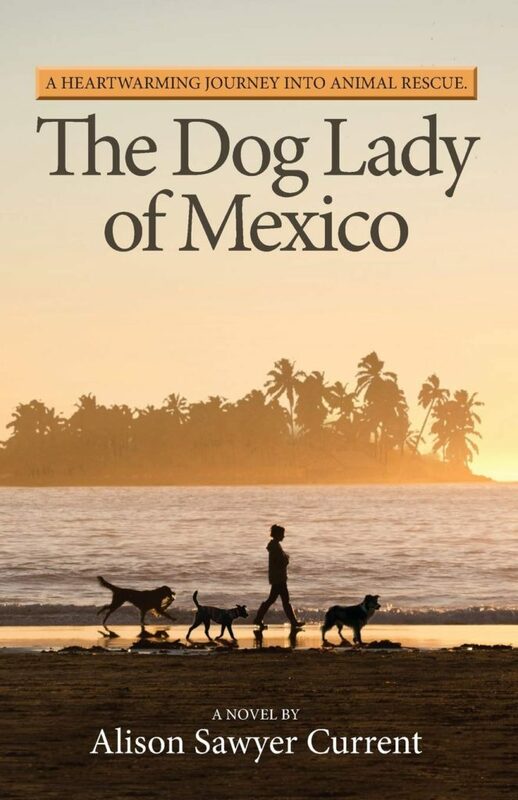 Readers of The Dog Lady experience a world very different than their own, and see and feel a part of Mexico they could never have imagined. They get to share the journey of Rose, whose life takes an uncharted course into unknown territory, and experience the passion that changed a life forever. Alison is a recipient of The Doris Day Animal Kindred Spirit Award, and in 2007 she was invited to Mexico City for the first Forum on Small Animal Overpopulation in Mexico. To date, Sawyer has spayed or neutered more than 12,000 animals and promoted adoptions in Mexico, the United States and Canada. To learn more about Isla Animals or to find out how to support their programs, please visit the website www.islaanimals.org or join the over 37,000 followers on Facebook at: https://www.facebook.com/IslaAnimals. Bethesda, MD ― The mission of Pan Africa Children Advocacy Watch (PACAW), is to nurture and develop a new generation of African leaders via access to a different educational culture at the primary and secondary school levels. In providing the infrastructure and staff for quality education for pupils in poor underserved communities Pan Africa Children Advocacy Watch promotes change. “We can help develop better leaders when early education focuses on turning the gaze of the children away from avarice, extortion, selfishness, the vain, and obsession with accumulation of material wealth.” Dr. Sylvanus A. Ayeni is president of the nonprofit organization. “This type of education culture at the basic and secondary school levels would prepare young people for leadership that champions the development of their nations from within, and embraces living for a higher purpose. “We’d like to expand our programs to several states in Nigeria,” says Dr. Ayeni. “In particular we would like a presence in the delta area and the northeastern part of the country where education has been brutally decimated by stone age ideologues.” Later, they plan to establish similar programs in other countries in sub-Saharan Africa. The Biennial PACAW Leadership Academy is the second component of PACAW’s program. The Academy is for community leaders, the teachers and interested young graduates from the country’s tertiary educational institutions. The lessons and the values learned are then passed on to the children. The third aspect of PACAW initiatives is the Community Economic Empowerment Program, intended to lift up the community economically. The goal is to transfer the PACAW programs to the community, the local government and perhaps, the state government within about ten years. This is designed to break the cycle of dependency which is so deeply entrenched in many nations of Sub-Saharan Africa. PACAW is governed by an all-volunteer board in the USA and Africa. Members of the Organizing Committees of the programs at the grassroots level in Africa are all volunteers as well. At least 95% of donations goes directly to the villages or communities in Africa to fulfill the PACAW mission. San Diego, CA – An understanding of how money, economics and investing work in our country is essential for anyone concerned about their future. In Illusions of Wealth by Doug Eberhardt, he provides the framework for making better choices. Because an inadequate education system may have failed to teach us how to invest, we relinquish control to advisors who may or may not have our best interests at heart. 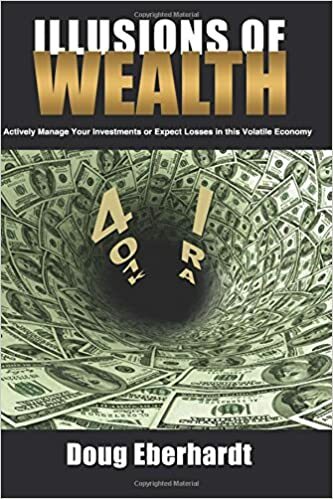 This book is written to bring readers the awareness, confidence and insight necessary to overcome the future panics, crashes, and crises that will inevitably arise, and teach them how to profit whether the market is rising or falling. Investors need to ask themselves these types of questions: What are the economic conditions on the horizon that can affect your wealth? Why do you invest the way you do? Who do you trust for investment advice, and why? How much do they make from their recommendations to you? Did they protect your portfolio during the last financial crisis? Is another financial crisis around the corner? How have you structured your portfolio differently to protect your wealth if we were to experience another economic downturn? Doug Eberhardt is the author of the precious metals investment book Buy Gold and Silver Safely. Doug has been in the investment management business for over 30 years and is now sharing his years of research and discovery, accurately pinpointing economic and investment conditions for his readers.